2018 has been a year of some great content, unique storylines and great performances. While some of the films have hit a jackpot at the box office, other much-awaited films are set to make their way to the big screen soon. And one such films is Thugs of Hindostan. Five years after Dhoom 3, Aamir Khan and Katrina Kaif have reunited for another YRF film. This time they will be seen together in an action-adventure film, Thugs of Hindostan. Based on Philip Meadows Taylor's 1839 novel Confessions of a Thug, the period drama will also see Amitabh Bachchan and Fatima Sana Shaikh in pivotal roles. 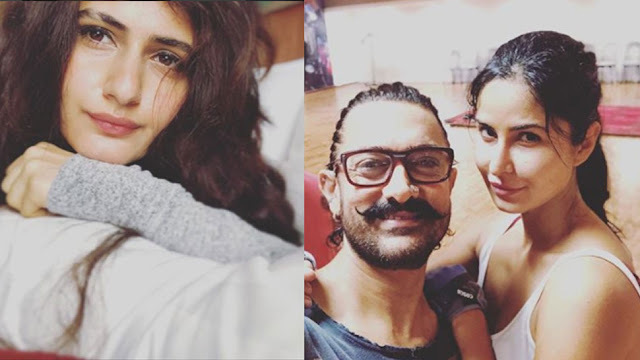 With only two months left for the film to hit the screens, Katrina shared a picture of co-actor Aamir Khan's thug life moment.